We caught up with the new executive director to ask a few nosey questions about what her new role means for her work as a curator and critic, and for Woman Made, for which Claudine will be the only the second-ever executive director after Beate Minkovski, a co-founder who leaves the post after 22 years of leadership. In Woman Made’s two-decades history, which past shows or projects do you think meet the test of time? Over the years Woman Made has exhibited an incredible number of works by women (and men, too!). I’m looking forward to drilling down into the ideas underlying feminism a bit more, presenting shows that take a more sustained look at a particular phenomenon or issue and allow us to ask complex questions about it—and receive complicated answers in return. Will you continue to write art criticism for local and national outlets? No. Working as the executive director of a nonprofit feminist contemporary art space and attempting to write criticism would present way too many potential conflicts of interest. Even if it didn’t—there is so much good work to pursue at Woman Made, I certainly wouldn’t have the time! As executive director, will you curate exhibitions? If so, any specific themes you’re looking forward to researching/exploring. Yes I will, but I’ll also be actively seeking out fresh voices to bring to the gallery in guest curator capacities. We have a tiny staff at WMG and we can’t do it all — and anyway, it’s more fun to collaborate with other people! For myself, it’s a bit too early to say for certain what I will or can do exhibition-wise, but there are two ideas I’m already turning over in my head: I want to look at the work of women coders, who often find themselves to be the lone female on a software team, and the communities that women coders are building together around their shared experiences in what’s still typically thought of as a guy’s field. I’m mulling over how to make that type of work “visible” in an art gallery context. I also want to look at people’s relationship to clothing—and here I do mean “people”: women, men, and folks who gender identify in multiple and varied ways. Have you read the book “Women in Clothes”? A friend recommended it to me and it’s fascinating. I’d like to organize something big and ambitious that looks at a wide variety of people and their relationship to the clothes they wear. It’s the kind of thing where the more closely you look, the more strange our relationship to clothing becomes. Jamilee Polson Lacy is a writer, a curator and the founding director of Twelve Galleries Project, a transitory, collaborative exhibition experiment. Currently, Lacy helms the blog for Bad at Sports, and formerly, she was the inaugural curator-in-residence in 2012-2013 for Charlotte Street Foundation in Kansas City. She has written for Art 21 Online, Art in America Online, Flash Art and Umelec Magazine, among other publications. Lacy has additionally published Color: Fully Engaged, a book of interviews and essays, and rises Zora: An Exploration of the Urban Labyrinth, a digital catalogue detailing Kansas City and its artists as experimental collaborators. 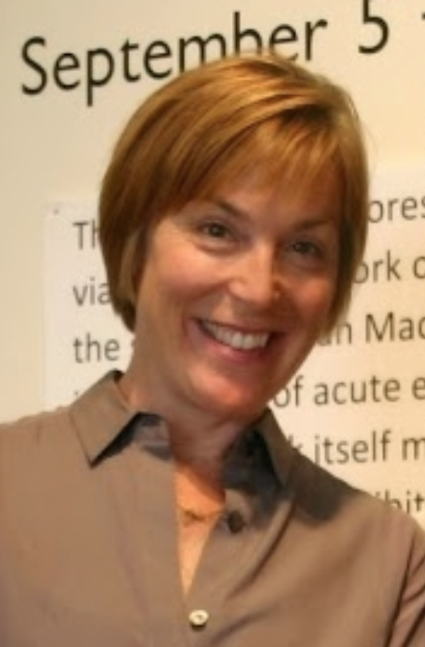 Lacy holds a Masters of Comparative Arts and Literatures from Northwestern University and two undergraduate degrees in fine arts and art history from the School of the Art Institute of Chicago. See her upcoming projects and more at www.jamileelacy.com or www.twelvegalleriesproject.org.